St Kyneburgha Benefice, Peterborough bringing a community together. Posted 3:00 pm by sallyleeds & filed under News. St Kyneburgha Church, Castor is a truly magnificent building where there is a vibrant community of worshippers. St Kyneburgha is the main church within the benefice of 6 churches at Marholm, Sutton, Upton, Stibbington and Water Newton. With the creation of the benefice it became essential that there was one place where all the information around services and church life could be viewed. The site is built using WordPress, it incorporates not only information on teh day to day life of the church but an extensive archive section which details out the detailed history of the parishes and their people. 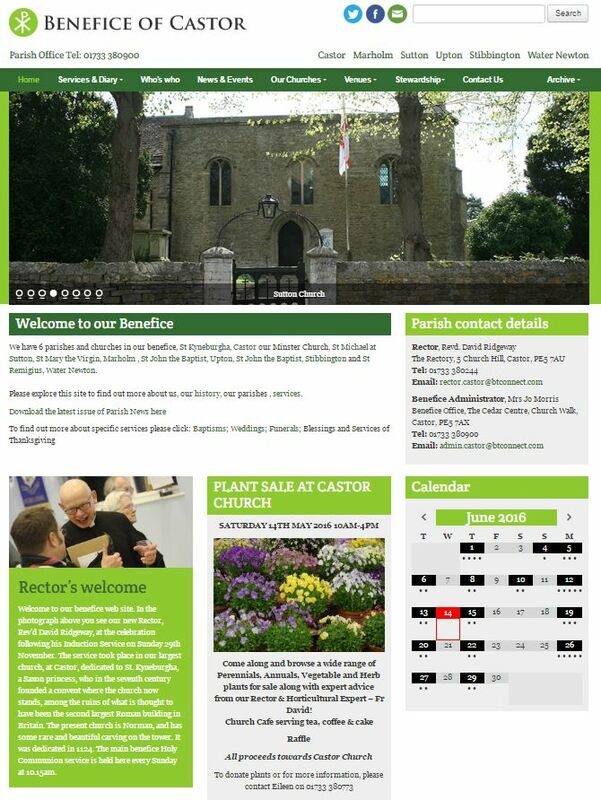 Visit http://www.castorchurch.co.uk to see the site.